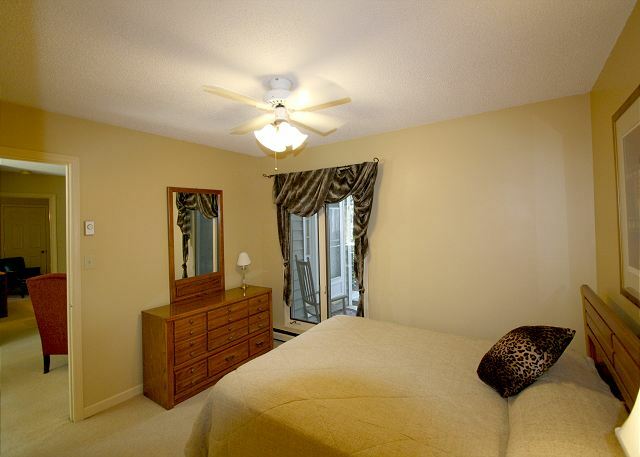 Ground floor two bedroom, 2 bath Royal Oak Condominium. Stone fireplace with gas logs, comfortable furnishings, color cable TV, new kitchen with granite counter tops and stainless steel appliances. Wireless Internet. AC. Dining for four. Master bedroom with a Queen size bed, private bath. 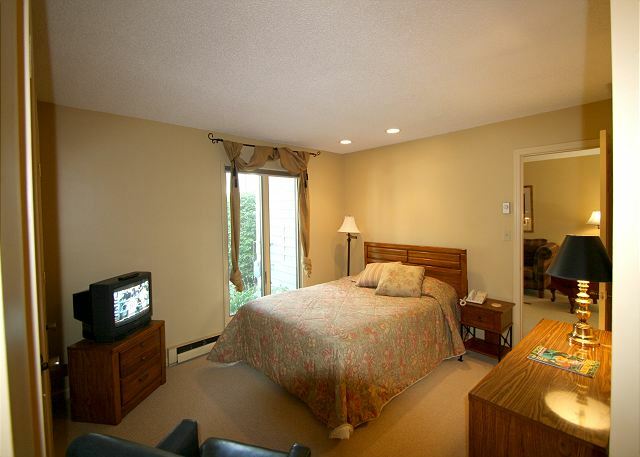 Guest bedroom with a queen bed, private bath. Walk in level with no steps. Just a quick walk to Main Street. Parking for 2 cars. Property maps may not be accurate on 3rd party web sites. Please contact the office directly for exact property locations. Just what we needed. Easy walk to Main St! Having stayed at the Royal Oaks for years, unit #216 was our 1st time stay. It was comfortable with wing chairs, nice Bed pillows, dining table. Pheromone units lack enough living room chairs should you need them! As usual Jenkins Rentals is the finest and Brad, Christie are such a pleasure! This condo worked great for our family of 4. Very close to Main Street. We would definitely stay there again! 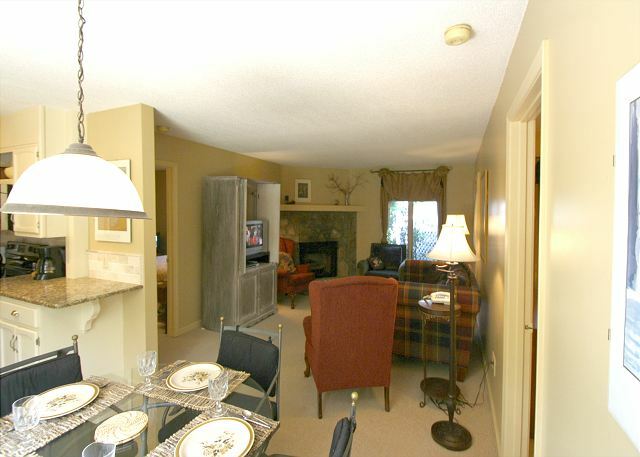 Very comfortable 2 bed/2 bath condo within waking distance of Main Street. Perfect for two couples. All four of us had a great time and felt right at home in the condo. I rented #216 Royal Oaks for my neice and her family to stay while we were at our condo. They found it a fine place to stay. Since they have 2 boys it would have been nice to have twin beds in the guest room. Place was very comfortable for them. We had a great stay in this condo. The location is perfect! It is within walking distance to all the shops and restaurants in downtown Blowing Rock and after a day of hiking and shopping, there was plenty of room to relax by the fire at night. Our family would love to stay here again! A friend and I stayed at Royal Oaks #216 during the 2016 "Savor". The condos are very small, but perfect for two people and located within walking distance of all the festival activities that we were attending. It would also be good for two couples. Blowing Rock weekend get away. We were very happy with our stay. The condo was well furnished and clean. The location was great..just a short walk from the village. The folks at check-in were very professional and friendly. We wrote a review formyou on the envelope turned in. We love the condos at Royal Oak and have stayed there at least 4 -5 times. This is the first time in this condothat was on the first fkoor. We couild hear every footstep above us, toilet flishing and water running. Also, this condo was not particularly welcoming. Very sparsely decorated. It was clean and in the end it was fine. We spent 3 nights in one of the condos; our second stay here. We couldn't have been happier. There were 7 of us attending the Wine Festival. Jenkins rented us two condos in the same building so we could be close. 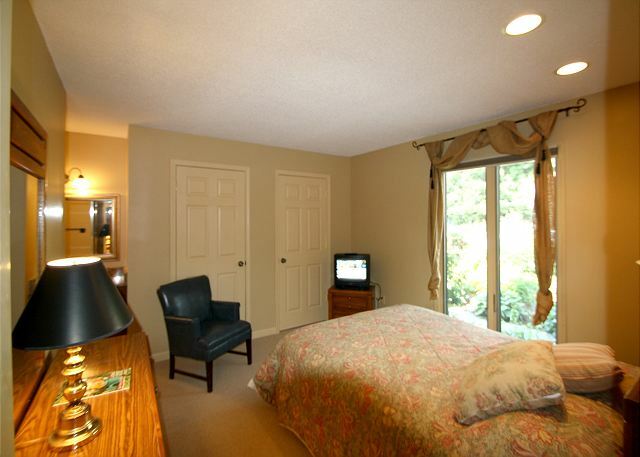 It was a very economical and comfortable stay. Great location, clean and homey!